They may be the largest living land mammals of the Americas with few predators, but for the few thousand wild tapirs left in the world the future looks bleak. Over the last 30 million years, the odd-looking animals have adapted brilliantly to their environments. Closely related to the horse and rhinoceros, they have excellent hearing, a strong sense of smell, they’re fast runners and strong swimmers. They can even hold their breath under water for about five minutes. But despite these excellent survival mechanisms, there are fewer than 10,000 tapirs in Central and South America and South East Asia. 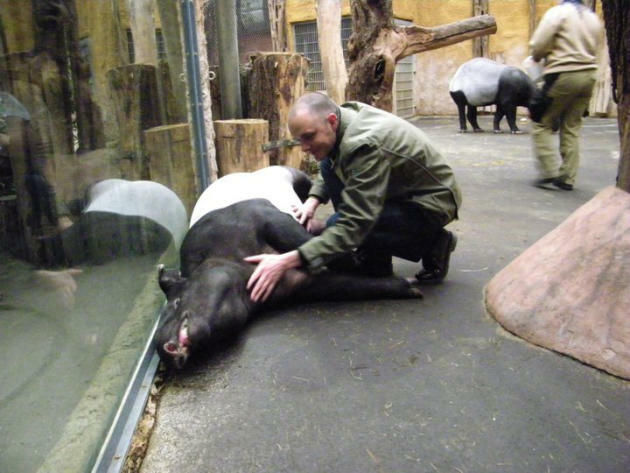 Anthony Long - the founder of World Tapir Day, which calls attention to the animal’s plight - told Yahoo! News: "They are a species under pressure. As they are solitary animals and are generally so secretive, it’s hard to say for sure how many there really left in the wild." Humans are the biggest threat to their existence, as their habitats in the Americas are cleared for mining and cattle grazing. In the Amazon illegal logging and hunting is happening on such a large scale the Brazilian tapir population is becoming fragmented, meaning it’s more difficult for them to mingle and breed. Mr Long, who established World Tapir Day in 2008, added: "Being 350kg at the most, tapirs are going to need a big territory to roam around. But even when their habitats aren’t cleared away, ranchers think tapirs are pests and shoot them for road kill." It is a similar story in South East Asia where millions of hectares of Malayan land is cleared away for palm oil production in order to meet western world’s demand for junk food and cosmetics. Tapirs are listed as ‘endangered’ and ‘vulnerable’ on the IUCN (International Union for the Conservation of Nature) Red List of Threatened Species. Based on current estimates, the IUCN said that in the next 20 years the number of Mountain Tapirs, now under 2,000, will drop by 50%. Five species of tapir are known to have already been wiped out - including those species which were native to Europe and North America around 10,000 years ago. The fifth World Tapir Day is celebrated on 27 April around the globe and Belize is officially marking its first National Tapir Day. 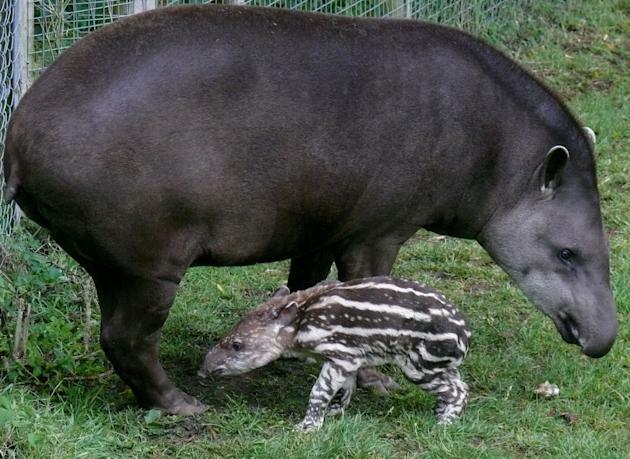 The tapir is the national animal of Belize, but according to Mr Long, the animal is barely known by the Central American nation’s general population. He said: "It’s actually quite frightening there. It’s like an Australian not knowing what a kangaroo was. World Tapir Day day is instrumental in giving tapirs more recognition and raising awareness of these sweet creatures and their conservation. "It’s also about getting the message across to the western consumer that the products they buy in supermarkets have a massive effect on them. For example, urging people against buying cheap chocolate and crisps which are made with palm oil instead of buying food stuffs which are ethical and sustainable." He added: "People might think World Tapir Day is all about looking at cute tapir photos, but there is a real seriousness behind it. It’s about raising awareness of this fascinating endangered animal. They might not get the same attention as elephants or pandas, but as they are on the brink of extinction, it’s time to give them some more recognition."